See the best of Amsterdam on a hop-on hop-off bus tour. 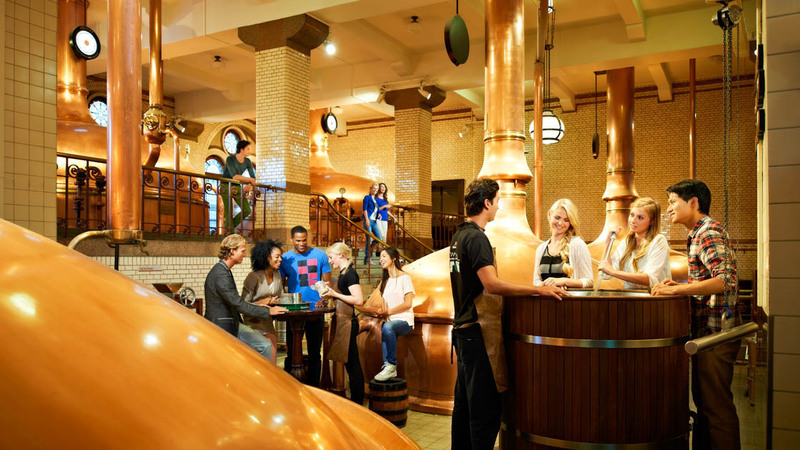 Learn about the brewing process behind Heineken’s finest lagers at the Heineken Experience. 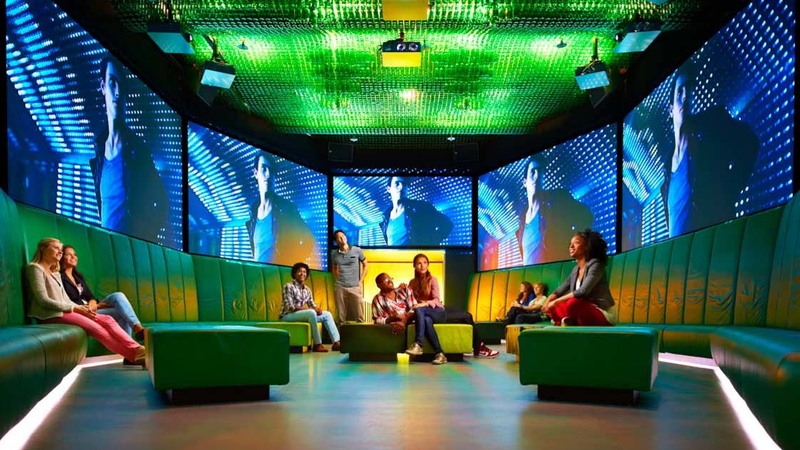 Get the Heineken Experience: a highly interactive museum with all you could ever want to know and more about the world-famous lager. Only thought there was one type of Heineken out there? You thought wrong! Enjoy trying out a few different homegrown varieties here in Amsterdam. 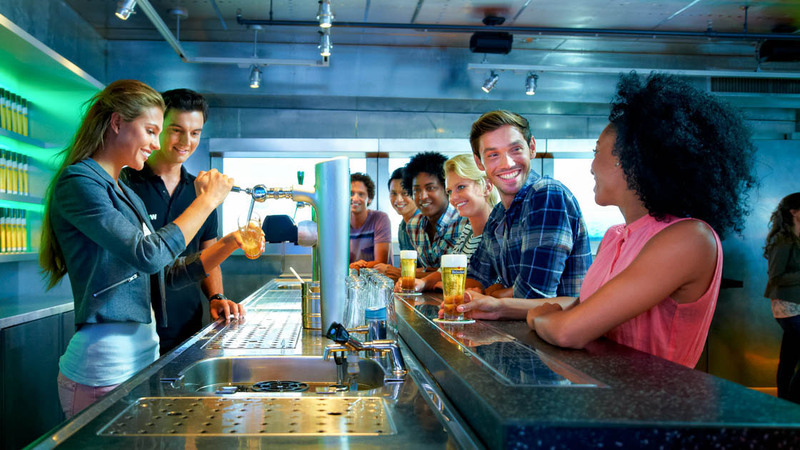 If you've fancied yourself a pint-puller, now's your chance to prove your skills. 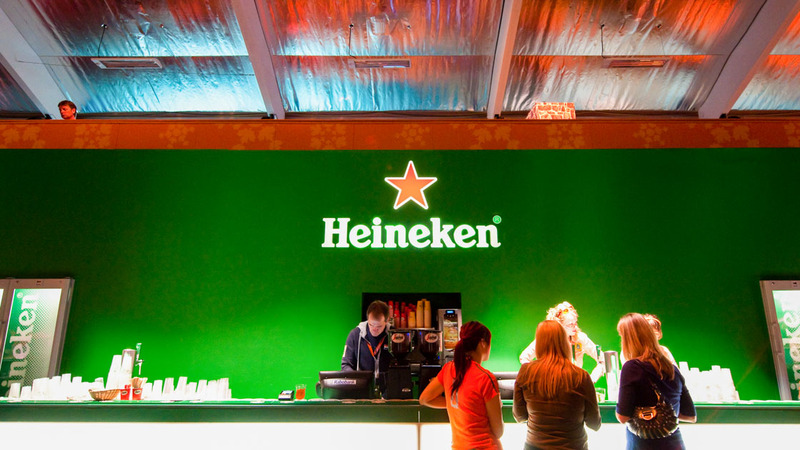 Alternatively, if you've got a shaky hand, the Heineken bartenders will be happy to pour you one. The ride demonstrates the life cycle of a Heineken bottle and the star of the show is you! Tip: don't wear clothes that don't dry off easily. 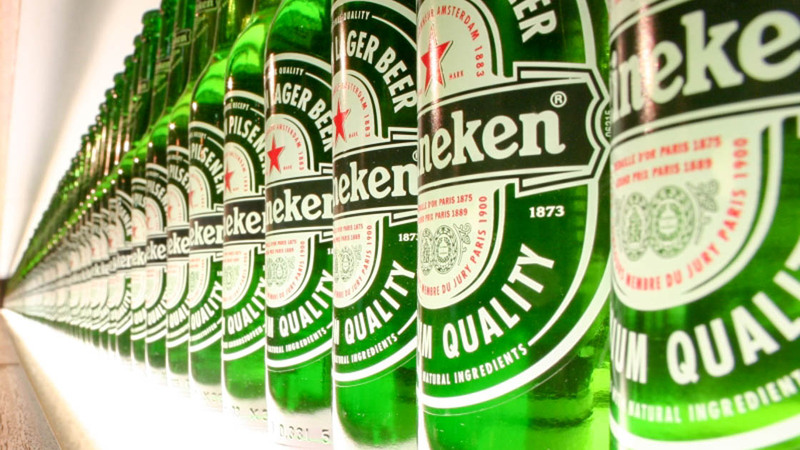 You may be surprised to learn that by the end of WWII, Heineken had taken over the entire Dutch beer market and there was an anarchist boycott movement against it in the 1980s! Heineken has even extended its influence to the movies. There's a whole exhibition room about the link between James Bond and Heineken, including authentic props from the movies! €18 adult entry, €14 child entry. You may save money on your ticket if you book a tour. 365 days a year! Mondays to Thursdays 10:30AM to 7:30PM; Fridays, Saturdays, and Sundays 10:30AM to 9:00PM. In July and August, it'll be open all week until 9:00PM. From Amsterdam's central station, you can get the tram to Stadhouderskade (accessible from lines 16, 24, and 25). Will I Need a Tour? The tour is recommended, although please note that it's self-guided - you can download an app from the Heineken website. Please note that if you are under 18, you will need to be accompanied by an adult. Mondays to Thursdays 10:30 AM to 7:30 PM; Fridays, Saturdays, and Sundays 10:30 AM to 9:00 PM. In July and August, it'll be open all week until 9:00 PM. €18 adult entry, €14 child entry. The tour is self-guided and an app can be downloaded to help out. Take the tram (lines 16, 24, or 25) to Stadhouderskade. Those under 18 may not enter without an adult. If you plan to do the Bottle Ride, wear clothes that dry easily! Very interesting and a great experience. Definitely recommend the experience. Very easy to follow and the basement bar and tokens made the experience complete - We likes the personalised beer bottle concept and thought was good value too. Lots of history and interaction with music,lights and memorabilia! We got to the brewery early and walked up the street and had one of the best coffees and then walked right into the tour at 1030. It was packed at first but 10min into the he tour it thins out so you can read the plaques and look at all the memorabilia. The guides have vast knowledge and ask questions to see if you know your beer history. The movie room and sound system is top notch and the beer is fresh and you really get three free beers so it’s more than worth the price. The train system in Amsterdam is the best in Europe and it took us 15 min from our hotel and that’s with walking to the station. Go early and check this off your list NOW! !oh and buy tickets online and have your mobile voucher ready. Was the BEST tour we have been on in a long time! We absolutely loved the tour. It was informative, fun, interactive and engaging. The BEST tour ever! We will definitely do it again on our next trip to Amsterdam.